Mexico’s migration realities are changing. Once the source of the largest number of international migrants worldwide, Mexico has become a country of transit, and increasingly an immigrant destination. Tens of thousands of unaccompanied Central American children crossed Mexico en route to the United States during fiscal year (FY) 2014, bringing into sharp relief questions about Mexico’s ability to balance border enforcement and migrant protection. Mexico’s emigration rates have fallen steadily in recent years, dropping from 73 migrants per 10,000 people in 2007 to 29.9 in 2012. A stable Mexican economy (that contrasts with a sluggish economic recovery in the United States) coupled with the establishment of a robust middle class, changing demographics, and heightened security along the U.S.-Mexico border have slowed the rate at which Mexicans are emigrating. Simultaneously, Mexico’s economic stability has attracted an increasing number of international migrants, mostly from the United States. Between 2005 and the first trimester of 2014, the stock of foreigners living in Mexico increased by 68 percent, reaching almost 1 million people. Increased transit flows are highlighted in the number of unaccompanied children from El Salvador, Guatemala, and Honduras apprehended by the U.S. Border Patrol after making the long, and often perilous, journey through Mexico. More than 51,700 of these children were intercepted by the U.S. Border Patrol in FY 2014, up from approximately 2,300 in FY 2009. The sharp rise in the number of child migrants provoked strong reactions in the United States and throughout the region, and accentuated the need for Mexico to invest in its migration management capacities. The increased enforcement comes against a backdrop of increasing legislative and other steps to establish a migration management and humanitarian protection framework. Mexico’s Congress approved sweeping changes in 2011 to the country’s immigration system aimed at facilitating the movement of people in a more structured and organized way, respecting the human rights of migrants, and meeting labor needs. This year, Mexico’s lower house of Congress approved changes to the general migration law to strengthen enforcement against the recruitment of migrants by organized-crime organizations and to provide a clear legal framework for asylum claims. Additionally, the recently approved Law for the Rights of Boys, Girls, and Adolescents stipulates that Mexican institutions must provide appropriate psychological and medical services as well as legal and consular assistance to all migrant children. In April, President Enrique Peña Nieto underscored the importance of adapting to the changing migration landscape, announcing a Special Migration Program to consolidate immigration policies promoting human rights, regional and local development, and access to judicial remedies. The Peña Nieto administration, which made strengthening border security a priority upon taking office in 2012, in July launched an unprecedented effort to secure Mexico’s 753-mile southern border with Guatemala and Belize. The Southern Border Program has an ambitious agenda, designed to promote orderly border crossings and ease legal temporary migration from neighboring countries. The program relaxes requirements for citizens of Guatemala and Belize to obtain regional visitors’ cards allowing a temporary 72-hour stay in the border states of Campeche, Chiapas, Quintana Roo, and Tabasco. As of October 10, more than 88,000 cards had been issued in Mexico and Guatemala. The plan allocates more resources to surveillance along migrant routes, with special emphasis on stopping people from traveling on freight trains, and on strengthening intelligence work to dismantle criminal groups profiting from human smuggling and trafficking. It also aims to better protect migrants’ rights by operating five medical care units for migrants and establishing facilities for the care of unaccompanied migrant children in collaboration with civil-society organizations. In addition, the program increases bilateral and regional collaboration with sending countries by leading efforts that address regional migration challenges, and opening more Central American consulates in Mexico. Lastly, it creates a new unit within the Ministry of the Interior to seek to improve coordination among state agencies that manage migration throughout Mexico. While it is too early to assess the long-term impacts of these policies on transmigration flows, most of the program’s elements have been implemented and appear in the 2015 Interior Ministry budget. Mexico has an opportunity to change the bilateral agenda with the United States and become a strong regional partner with strengthened capacity to put order to its migration flows. Mexico also is maintaining strong relationships with its southern neighbors through initiatives such as the Agreement on Binational Cooperation for Migrant Workers recently signed with Guatemala, which protects and extends benefits to Guatemalan workers in Mexico, and the organization of regional fora like the Regional Conference on Migration, scheduled to take place in Mexico in 2015. Mexico’s new role brings risks and responsibilities. Increased enforcement capability risks increased abuse of migrants’ human rights in institutions where corruption is high and the rule of law continues to be weak. Between January and July 2014, Mexico’s National Human Rights Commission (CNDH) recorded 268 complaints filed against the National Migration Institute for violations of human rights at migrant detention centers. And civil-society organizations have decried the lack of enforcement of migrant protection laws. Mexico’s challenge is to consolidate its role as an effective migration manager. The Mexican government will need to strike a balance between border security and migrant protection as well as between strengthening its security collaboration with the United States and helping its Central American neighbors alleviate the root causes of migration and reintegrate large numbers of repatriated migrants. In the long run, Mexico’s success in migration management will depend on its ability to reconcile the tension of enforcement and protection. Cordova, Rodolfo. 2014. Las personas, familias y comunidades migrantes: las eternas ausentes en el Presupuesto. Las Faltantes. Mexico: Centro de Análisis e Investigación (FUNDAR). Available Online. Harrup, Anthony. 2014. Mexico President Proposes Bill For Bullying, Underage Migrants. Wall Street Journal, September 1, 2014. Available Online. Instituto Nacional de Estadistica y Geografia (INEGI). 2013. Migración Internacional de México al cuarto trimestre de 2012. Press release, April 2, 2013. Available Online. ---. 2014. Encuesta Nacional de Ocupación y Empleo (ENOE), Población total - Lugar de nacimiento 2005-10. Available Online. ---. 2014. Encuesta Nacional de Ocupación y Empleo (ENOE), Población total - Lugar de nacimiento 2010-14. Available Online. 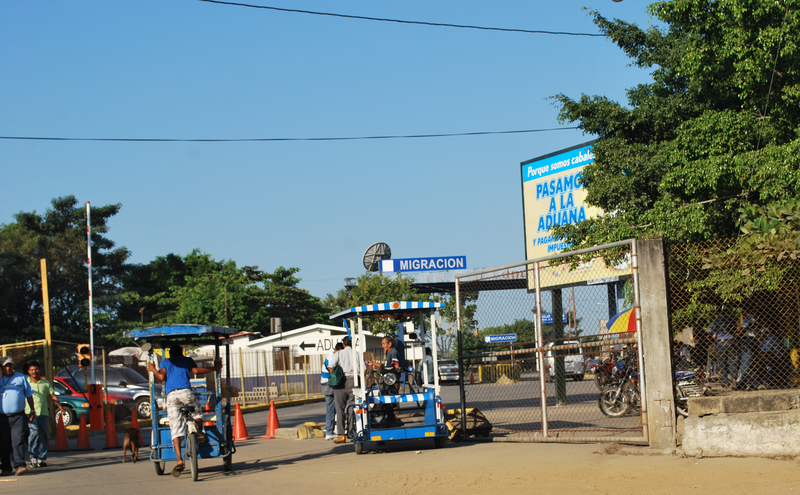 Instituto Nacional de Migracion. 2014. El INM Cumple 21 Años De Compromiso Con Los Migrantes Y Labores Humanitarias. Boletin INM No. 42/14, October 20, 2014. Available Online. Mexican Ministry of Foreign Affairs, Office for Human Rights and Democracy. 2014. The 2014-2018 Special Migration Program Is Published. May 16, 2014. Available Online. Mexico, Presidencia de la República. 2014. Palabras del Presidente de los Estados Unidos Mexicanos, licenciado Enrique Peña Nieto, durante la puesta en marcha del Programa Frontera Sur. Last updated July 7, 2014. Available Online. ---. 2014. ¿Qué es el programa Frontera Sur? Last updated July 12, 2014. Available Online. ---. 2014. Se crea la Coordinación para la Atención Integral de la Migración en la Frontera Sur. Last updated July 15, 2014. Available Online. Michel, Victor Hugo. 2014. Migrantes enfrentan un tapón tipo Arizona en el Suchiate. Milenio, August 14, 2014. Available Online. Migration Policy Institute. 2011. Top 10 of 2011 - Issue #10: Caught between Two Migration Realities, Mexico Passes New Immigration Legislation. Migration Information Source, December 1, 2011. Available Online. Ramos, Roland. 2014. Apreuban reformas a ley de migración. El Economista, October 22, 2014. Available Online. Secretaría de Gobernación (SEGOB), Unidad de Política Migratoría. 2014. Boletín Mensual de Estadísticas Migratorias 2014. Mexico: SEGOB, Unidad de Política Migratoría. Servin, Fernando Camacho. 2014. Aumentan quejas en la CNDH; en el INM abusan de migrantes. La Jornada, August 3, 2014. Available Online. U.S. Customs and Border Protection (CBP). 2013. Illegal Alien Apprehensions From Countries Other Than Mexico By Fiscal Year. Available Online. ---. 2014. Southwest Border Unaccompanied Alien Children. Accessed November 13, 2014. Available Online. Washington Office on Latin America (WOLA). 2014. New Developments along Mexico’s Southern Border. October 1, 2014. Available Online. World Bank. 2011. Migration and Remittances: Top Countries. Migration and Remittances Factbook 2011. Available Online. Rodrigo Dominguez Villegas is a consultant to MPI's Regional Migration Study Group. He is a doctoral student of sociology at the University of Massachusetts Amherst and holds a BA in economics from Middlebury College.